iPads and iPhones make great travel companions. These devices offer quick access to step-by-step directions, public transit information, email on the go, and restaurant recommendations—and as a result, they tend to spend more time in our hands than in our pockets or bags. 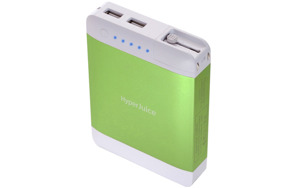 But what happens when your traveling pal’s batteries begin to run low and you’re nowhere near a charger? Well, they say knowledge is power, so lets get charged up by separating fact from fiction on the subject of how to save iOS’s devices’ battery life. To get to the truth about nine commonly held ideas on battery power conservation, the Macworld Lab grabbed a fourth-generation iPad and an iPhone 5 and started charging, draining, and timing different tasks and scenarios. What we discovered can help you and your iOS device get through your next trip without running out of juice. Heck yeah, it does. Screen brightness was the single most significant contributor to battery depletion that we found. At full brightness and in Airplane mode, our iPhone 5 lasted 6 hours, 21 minutes while playing 720p video from a movie file. When we set the screen to half brightness, the phone lasted 9 hours, 48 minutes—that’s 3 hours, 27 minutes longer than the battery lasted with the screen set to full brightness. In similar video tests, our iPad’s battery lasted twice as long when set to half brightness as when set to full. To change your screen’s brightness, tap Settings, tap Brightness & Wallpaper, and then adjust the Brightness slider. You might think that accessing a movie file on your iOS device’s internal flash storage and then streaming it to an AirPlay device takes a toll on battery life, but it didn’t in our tests. Our iPad streamed high-definition video to an AppleTV-connected Sony Bravia for a whopping 13 hours, 45 minutes. And after all that time, it still wasn’t close to running out of steam: When we stopped the test (to, you know, go home and see our families and stuff), the iPad’s battery still had 82 percent of its capacity. Reversing the direction of the signal, playing a movie from a computer on our Wi-Fi network on the iPad took much more energy, mainly due to the demands of the iPad screen. Set to full brightness, the iPad managed to play 5 hours, 34 minutes of video—50 minutes less than it delivered when the video was playing from a file stored on the device itself. The iOS App Store is chock-full of utilities that claim to help boost your battery life. We looked at several battery apps for iOS, including Beijing Kingsoft Internet Security Software’s free Battery Doctor, Philips’s free BatterySense, and Appsware’s free Sys Activity Manager Lite. Most provide a similar set of data about your iPad or iPhone’s battery, including an estimate of the remaining battery life under current conditions, and estimates based on your turning off Wi-Fi or ceasing to surf the Web. Most of these apps also offer tips for getting the most out of each charging cycle, though the tips seem to come from Apple’s own website. So while the apps we looked at don’t do anything themselves to prolong battery life, they supply valuable information that might help you do so. As you leave the house, you check your phone and see that you have 4 hours of battery life remaining—but 3 hours later, you run out of juice. 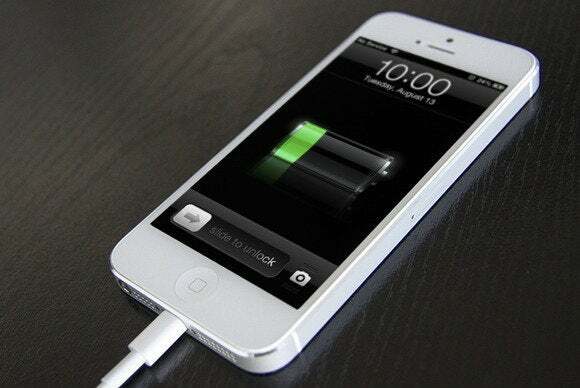 If this has happened to you, your iPhone or iPad might need a battery calibration. Apple recommends that you periodically drain your iPhone or iPad’s battery completely and then charge it until it’s completely full. This process, called calibration, helps your device estimate its remaining battery life more accurately. Calibrating your battery will ensure that you know when to charge your battery, but it doesn’t make your battery last longer. We found this tip on Apple’s website, and a few battery utilities offer the same advice. To test its validity, we took a fully charged iPad and looped an audio playlist with equalization on and off. (To adjust equalization on your iOS device, tap Settings, tap Music, tap EQ, and choose a setting.) After 26 hours, 41 minutes, the battery of the iPad without equalization had dropped to 84 percent. When we ran the same test with equalization on and used the iPad's Hip Hop setting, the iPad battery was still at 85 percent of its capacity when the test was over. So in our tests, equalization had no significant effect on battery life. Apple—and other portable device manufacturers—must find a balance between a product’s weight, size, and aesthetics and its battery life. Apple could make an “iPhone MAXI” that was 2 inches thick, weighed 2 pounds, and might be able to play back 20 hours of video; but the phone’s heft and bulk would probably make it fatally unpopular. On the other hand, when you temporarily need a little extra battery capacity, you can turn to a host of third-party companies whose cases, while increasing your phone’s weight and bulk, also extend its battery life and protect its screen from damage during a fall. One such case, the Mophie Juice Pack Plus (4.5 of 5 rating), which contains a 2100-mAh built-in battery, helped our iPhone 5 play almost exactly twice as much local video at full brightness as the iPhone could play on its own. I used iOS’s Maps app during my commute from my home in Walnut Creek, California, to my son’s Lego Robotics camp in San Francisco’s Mission district (about 25 miles away) and then to work in downtown San Francisco. This test was difficult for the app to handle, for a couple of reasons. First, the app was trying to give me driving directions while I was riding a BART commuter train. As a result, it continually had to recalculate my route based on the streets near the BART tracks. Second, my train passed through a few tunnels along the route, so my iPhone had to search for GPS while switching from cell tower to cell tower. My commute included a 2.4-mile drive, a 1.5 mile walk, and 55 minutes of train commuting. All told, the trip took me almost exactly 2 hours and ate up 51 percent of the iPhone’s battery capacity. Over the same route, with Location Services on, but not intentionally in use, the battery expended just 1 percent of its capacity. Aside from keeping the flight crew happy and their instruments interference-free, Airplane mode can help to preserve your device’s battery life. That one little setting turns off multiple wireless features, including Wi-Fi, cellular antenna, GPS, Bluetooth, and location services. With Airplane mode enabled, we squeezed an extra 30 minutes of video playback from our iPhone 5—going from 5 hours, 54 minutes with Airplane mode off to 6 hours, 21 minutes with Airplane mode enabled. Have more iOS battery questions you’d like answered? Leave them for us in the comments below the article. Macworld Lab testing by Albert Filice.